Support life means we nourish, we feed instead of foul, we care instead of a curse, we respect the spark of life in everyone-men, women, children, animals, plants, and more- as if it were our own. We acknowledge the life force in our fellow travelers, in the Earth, in all her creatures, and we befriend it. As we do this, the life essence in all things reveals itself. 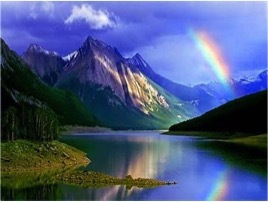 The rivers, the rain, the rocks, and the rainbows reach out and we discover that life is a precious thing, a sacred thing, a thing to be approached lovingly, treated sweetly, touched gently, countless gifts come to us when we begin to support all life. For the deepest desire of every one of us is to know that we are loved, to know that our world will feed us and give us all that we need just as it freely surrounds us with the air we breathe, the water we drink, the land we woke upon, constantly giving to us like a parent to a child. Therefore, you can learn to look at life with new eyes. Nature has many secrets to share with you. Come out to where it is green, the hills beige and brown, the sky deepest blue. Walk among your woodlands and your marshes, your parks, and your beaches. They are alive, like you. All of the things in Great Nature and the whole Humanity are wanting to commune with you. But they cannot until you change. Not until you see them for what they really are- living, aware, evolving beings just like you who ask only that you treat them with care so that they, in turn, can care for you. As a practical exercise for the first intention, here is a suggestion: the next time you feel angry or frustrated about what is happening in the world, think for a few moments instead about how nice it would be if there were peace. Hold onto that thought for as long as you can, and while you are at it, set your intention in support of all life here on this Earth. Envision peace everywhere.